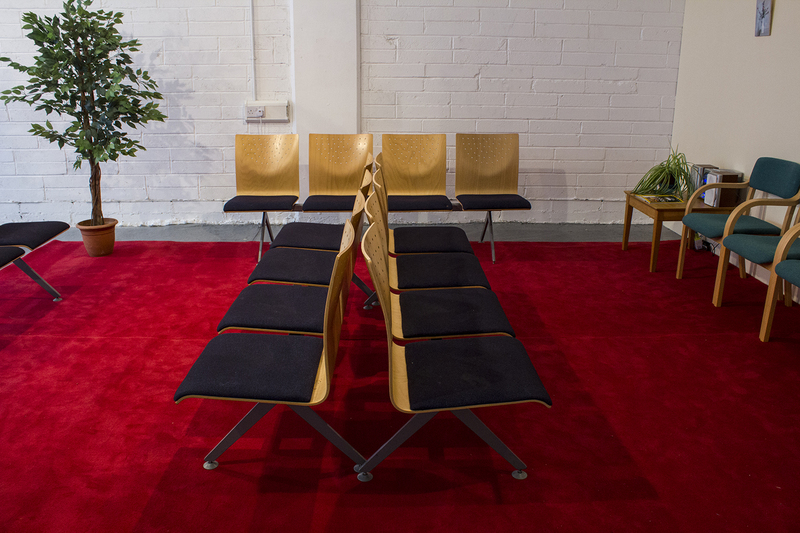 The Waiting Room is an installation that challenges our perception of time. 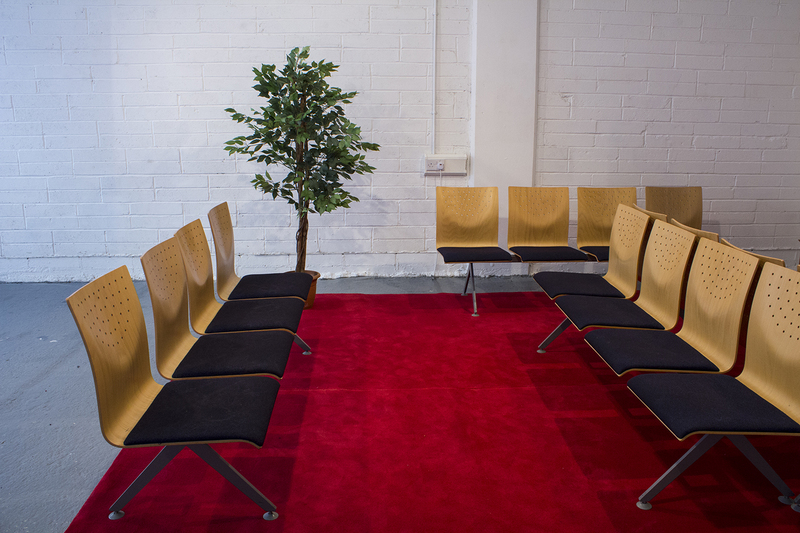 Waiting rooms are liminal, transitional places. A place where you wait to go somewhere else, impersonal and quickly forgotten. 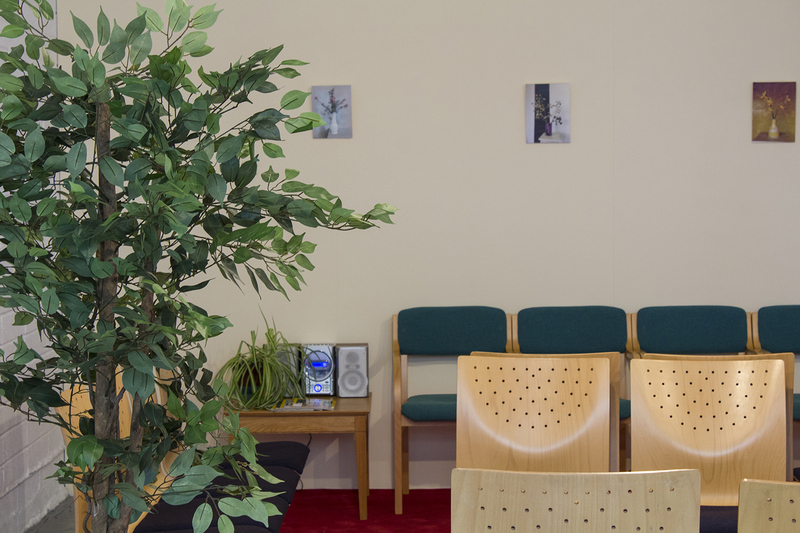 Waiting rooms are often functional spaces where the visitor has little control on how much time the wait will last. 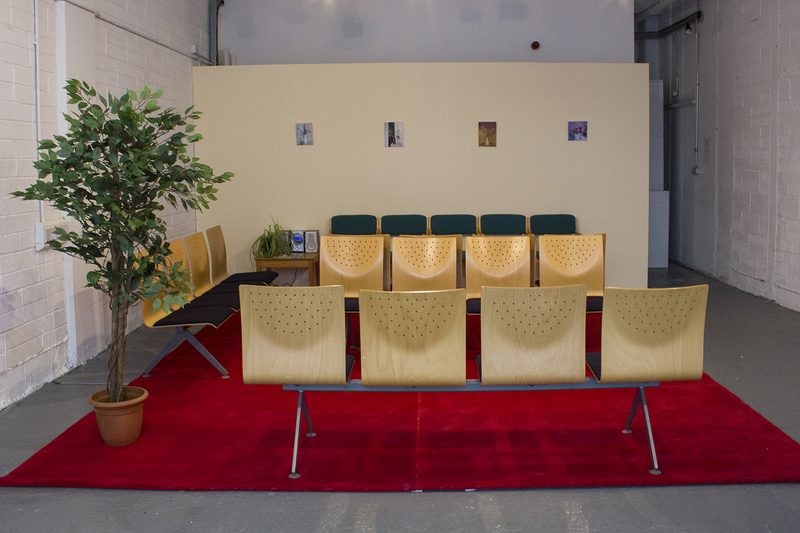 Here Ella Bertilsson and Ulla Juske’s waiting room at ArtBox creates a zone of attention; emphasising and acknowledging the subjective experience of time passing. By connecting past, present and the imagined future together, the perception of time can be understood in a non-linear way. The present moment which is heavily embedded with memories, dreams and hopes is evident in the lyrics of Leonard Cohen’s song Waiting for the Miracle. The song is also the opening soundtrack of Oliver Stones film Natural Born Killers (1994) and can be heard throughout the gallery space playing from a radio. The film, which was banned in Ireland until 2013, tells the story of Mickey and Mallory, two victims of traumatic childhoods who become lovers and mass murderers, and are irresponsibly glorified by the mass media. 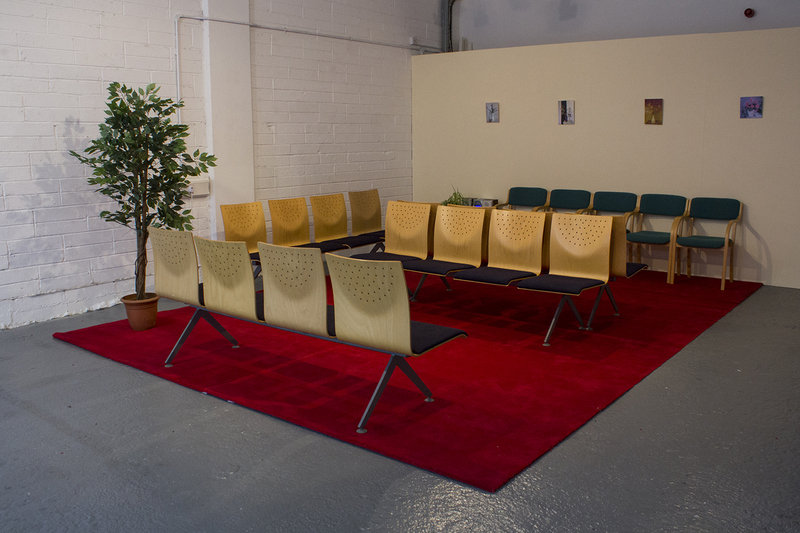 Part of the installation is a selection from Austin Hearne’s latest collection ‘Little Flowers’ and an essay of ‘Two teddies and a woman commit welfare fraud’ CSO Keeffe (link to the essay).